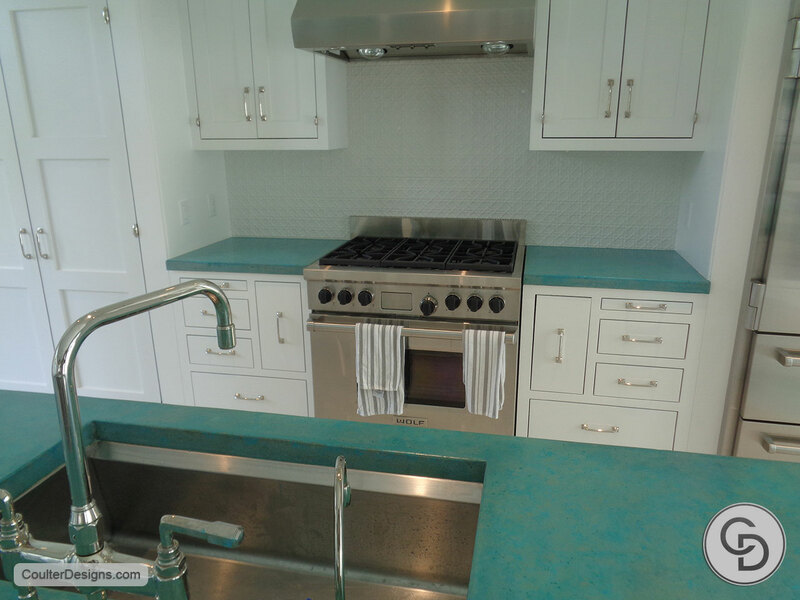 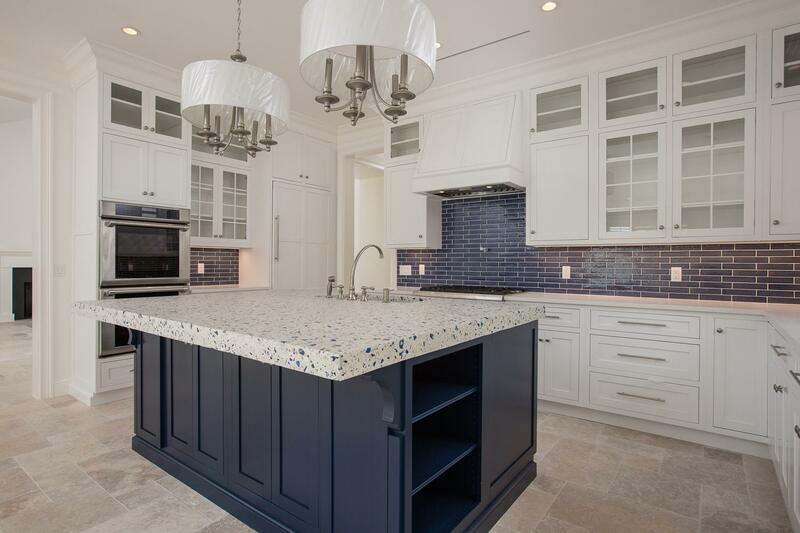 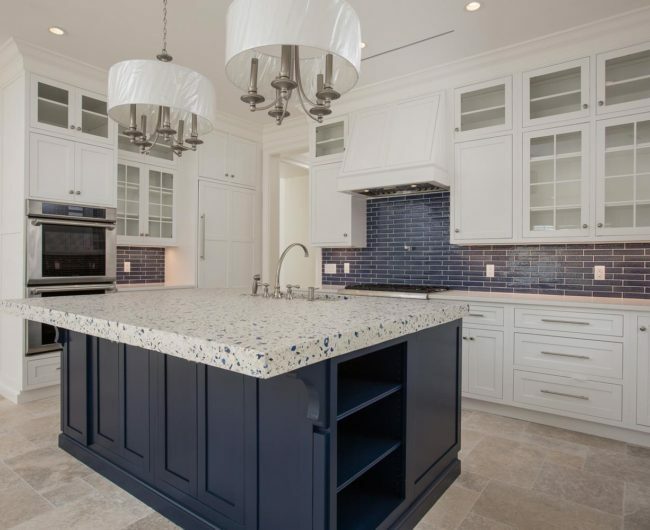 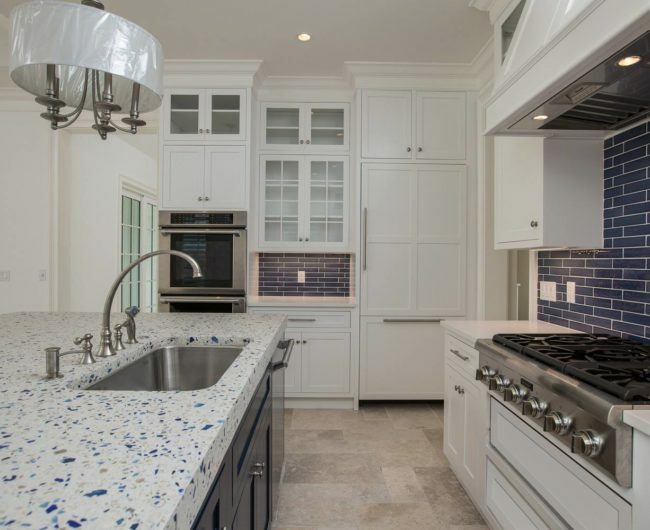 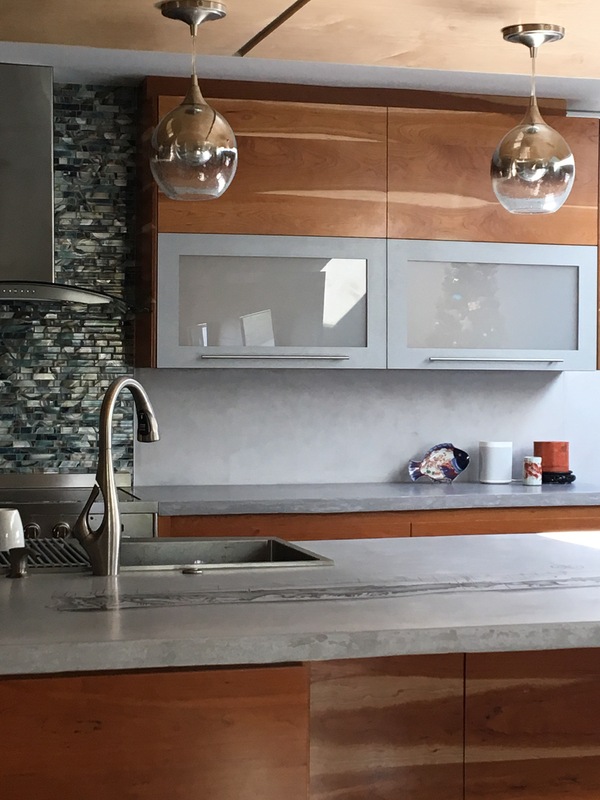 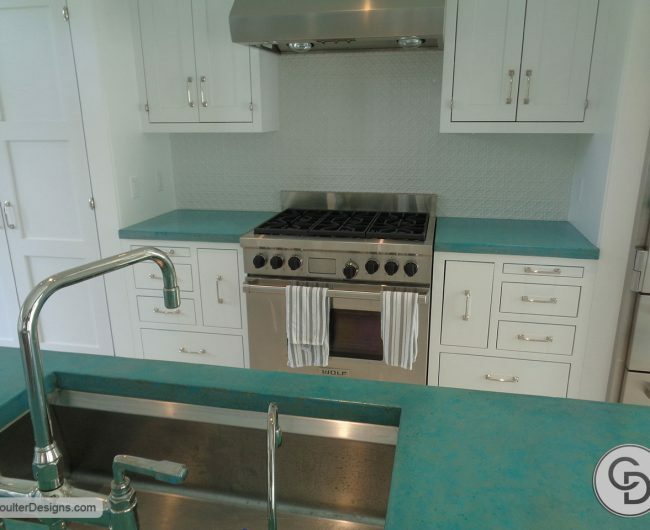 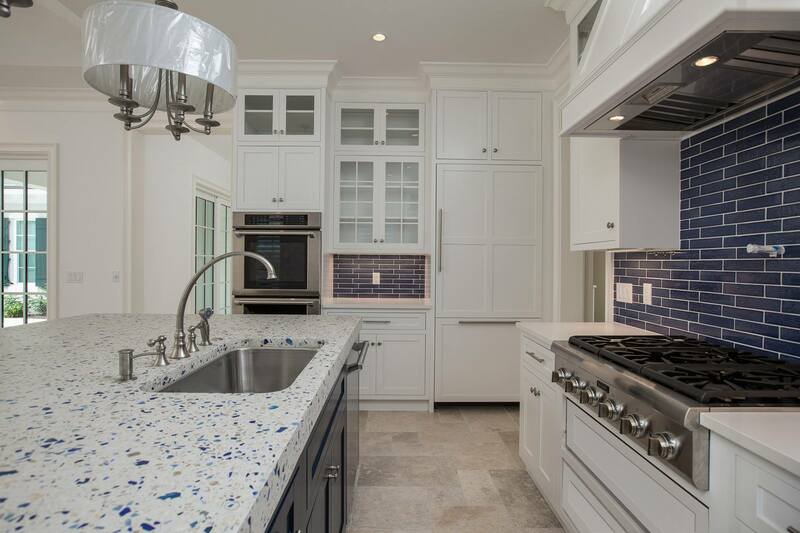 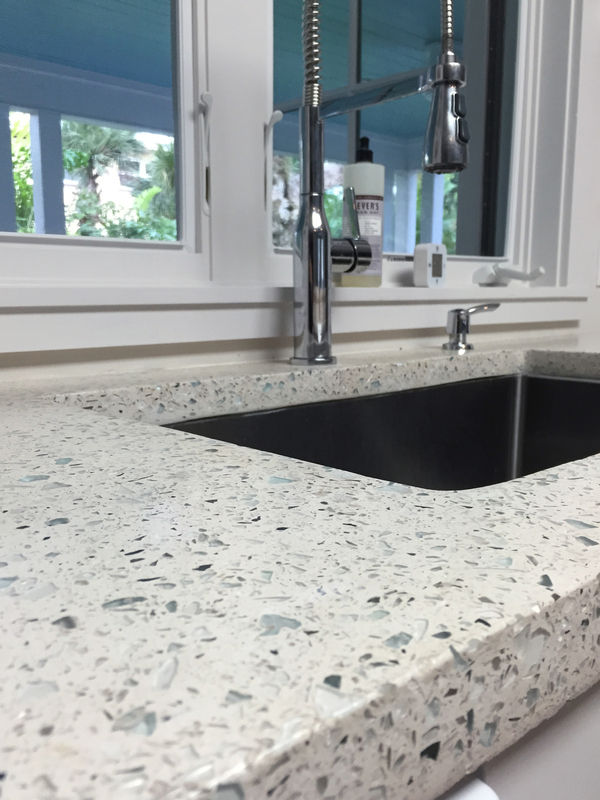 Complement your culinary taste with a stylish and distinctive counter top and back splash. 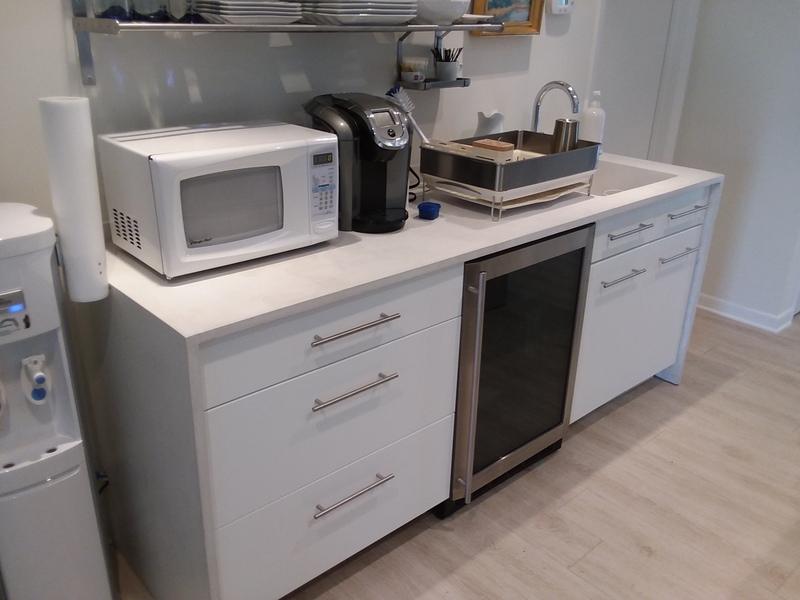 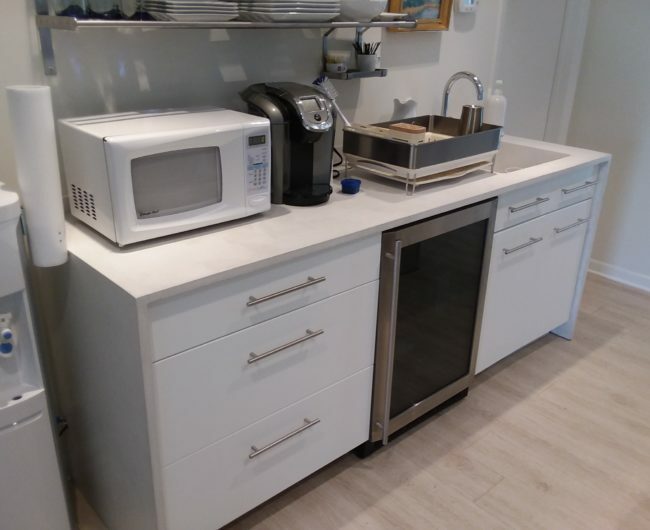 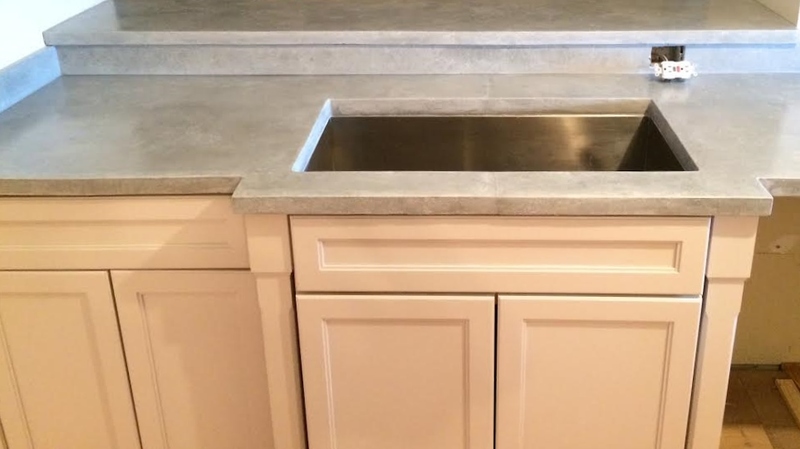 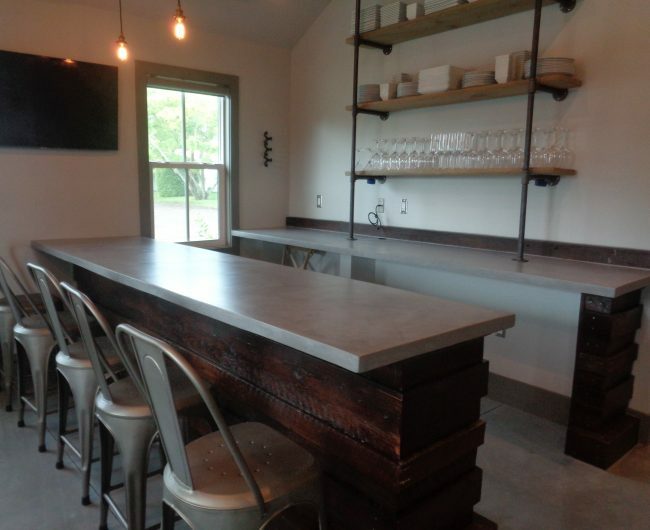 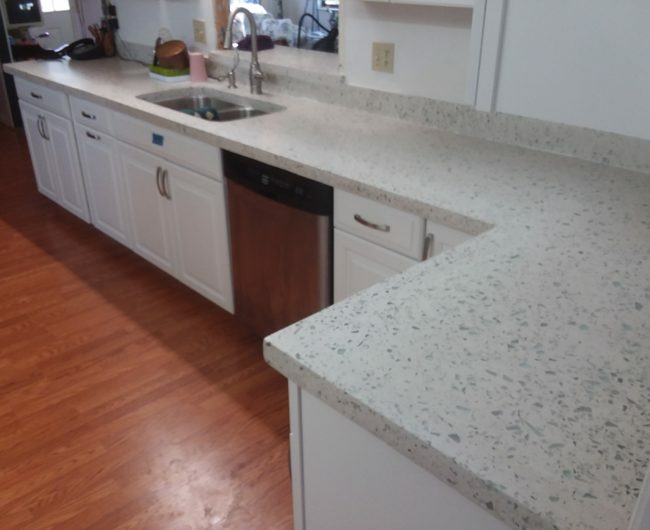 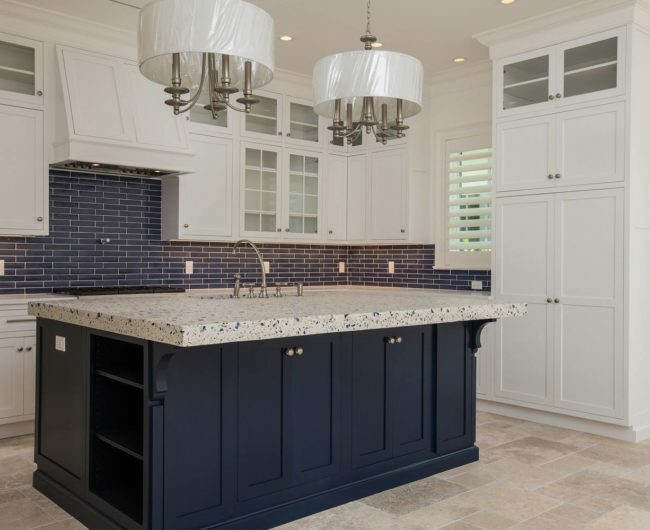 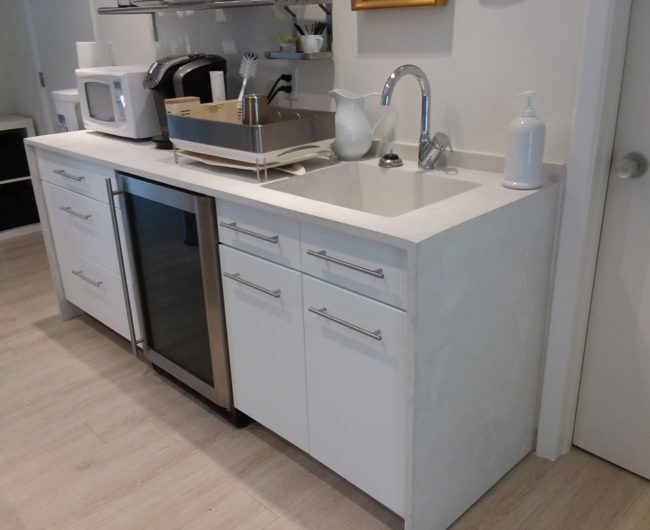 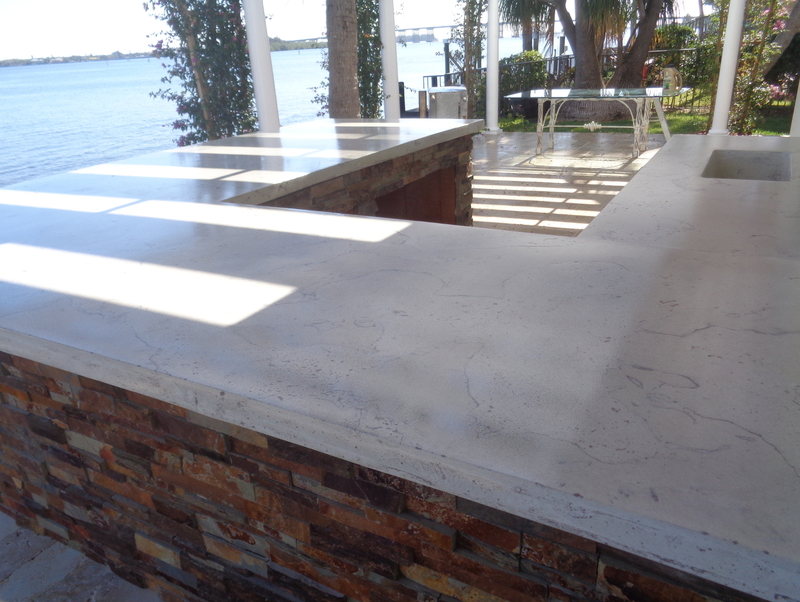 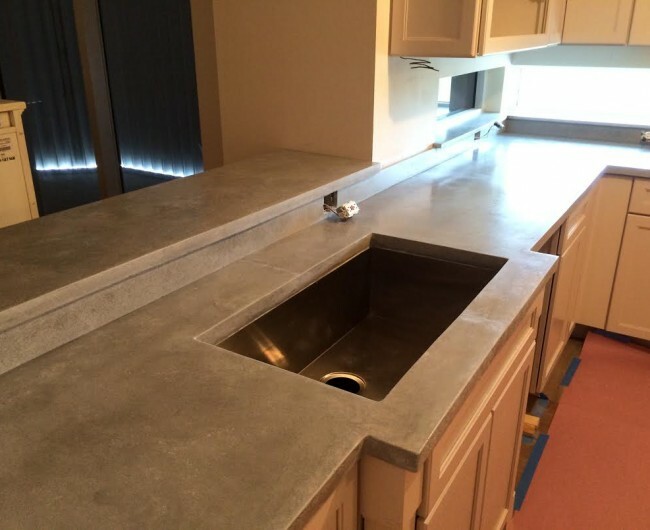 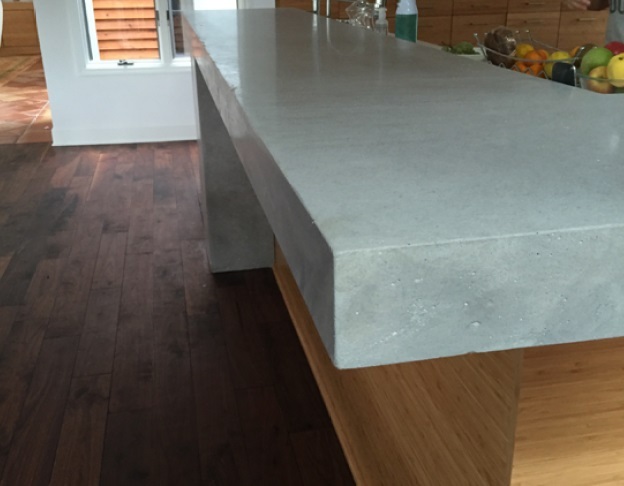 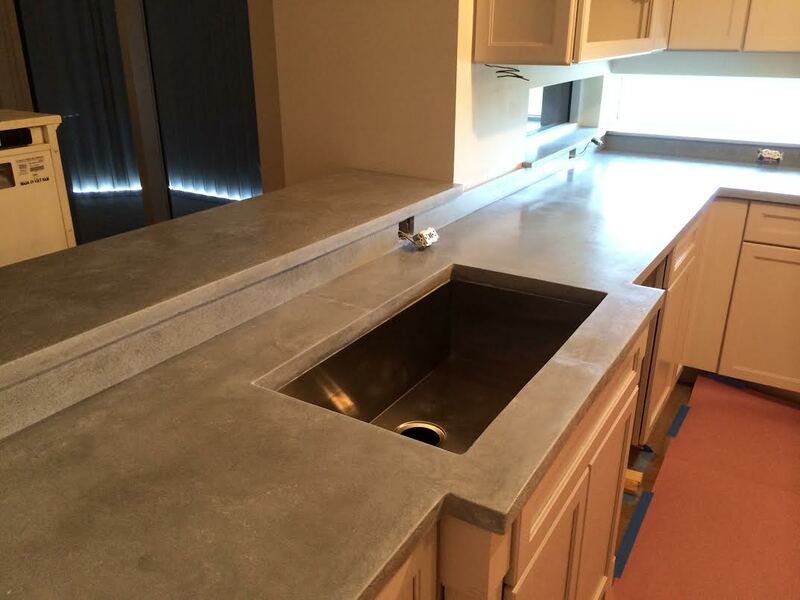 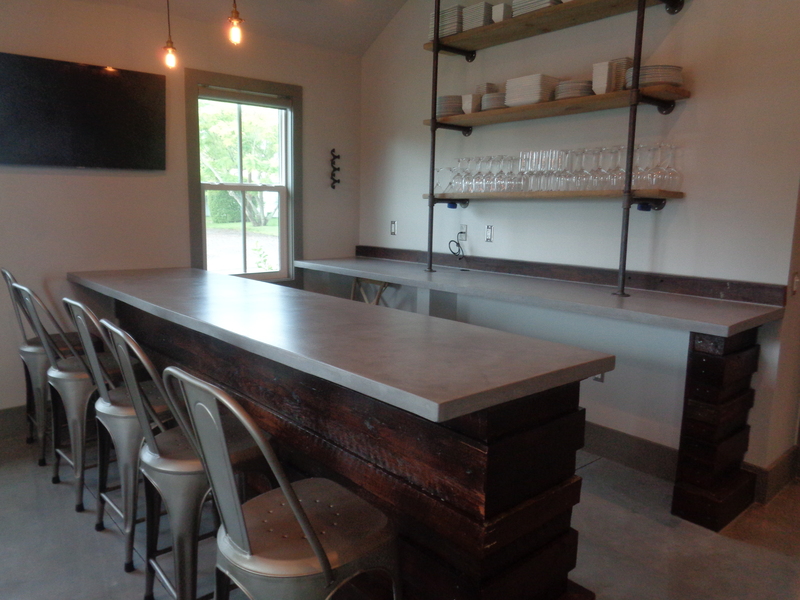 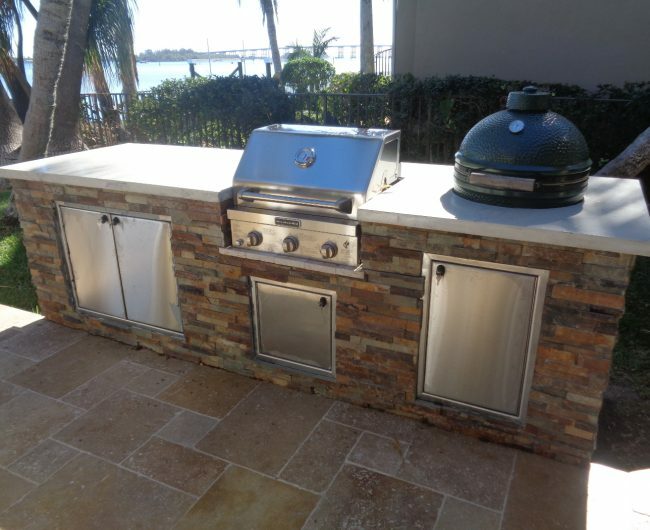 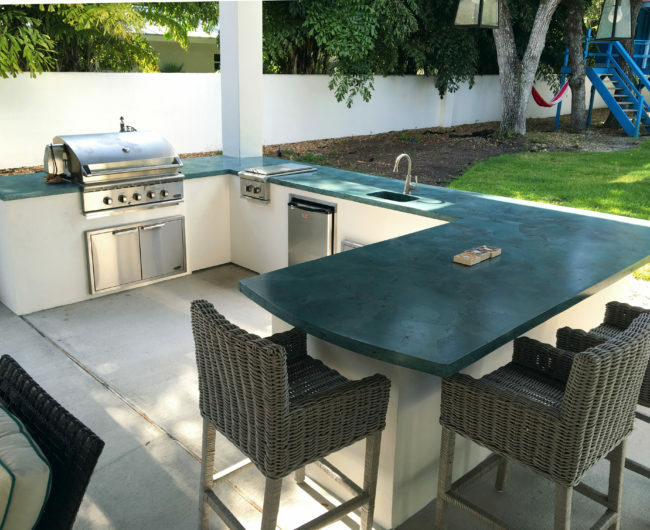 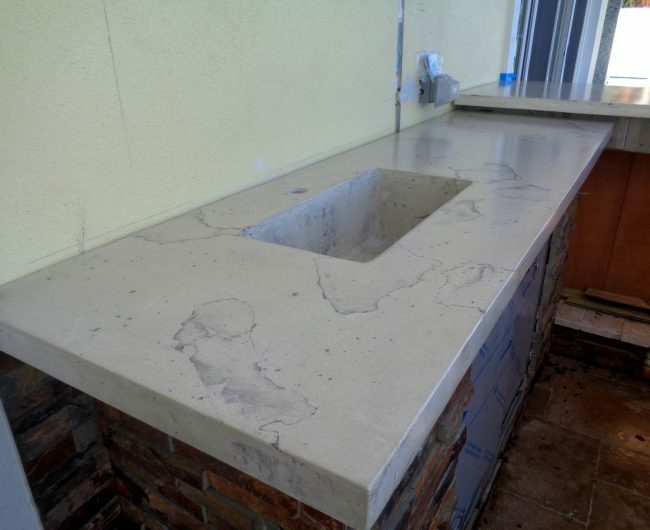 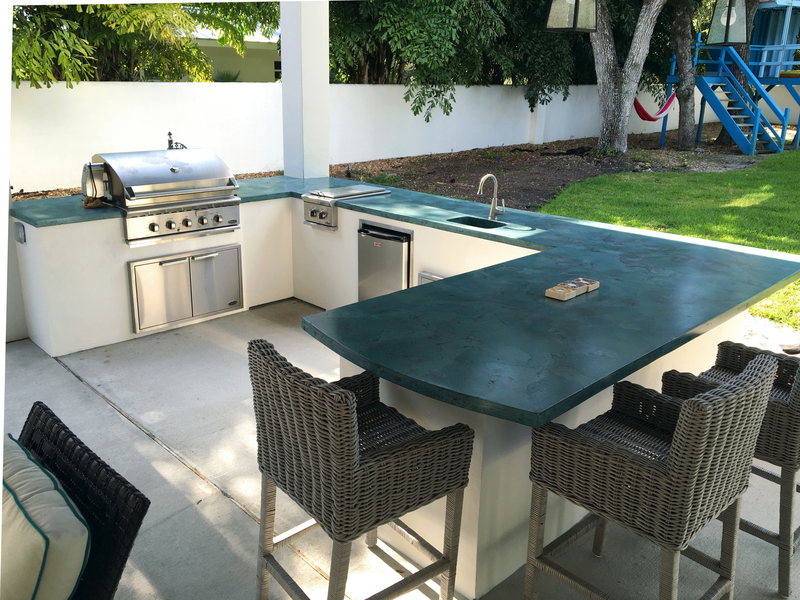 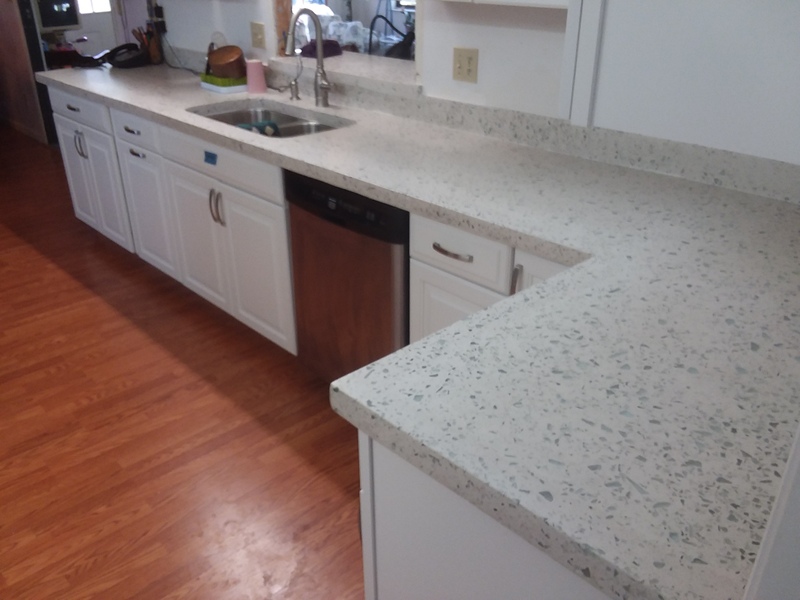 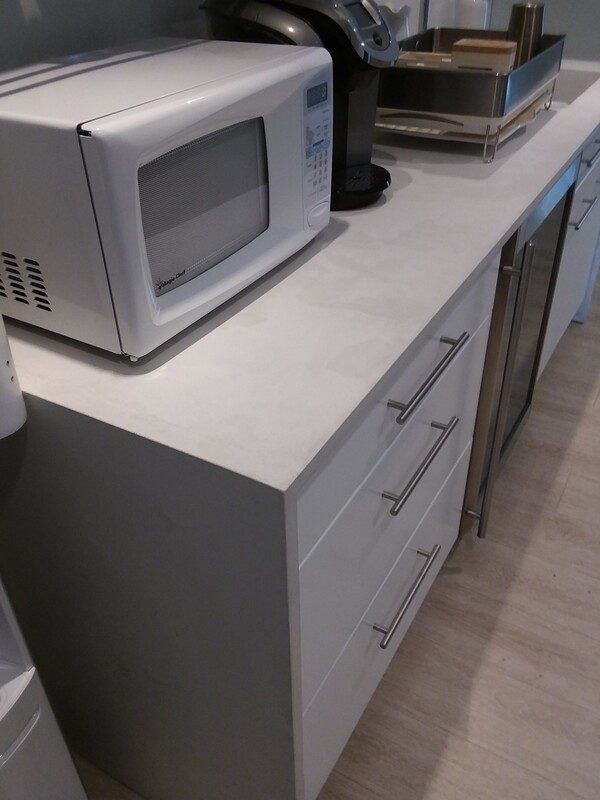 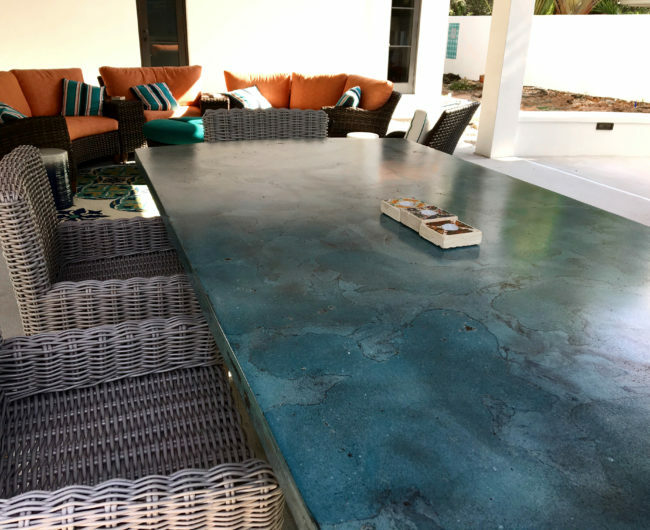 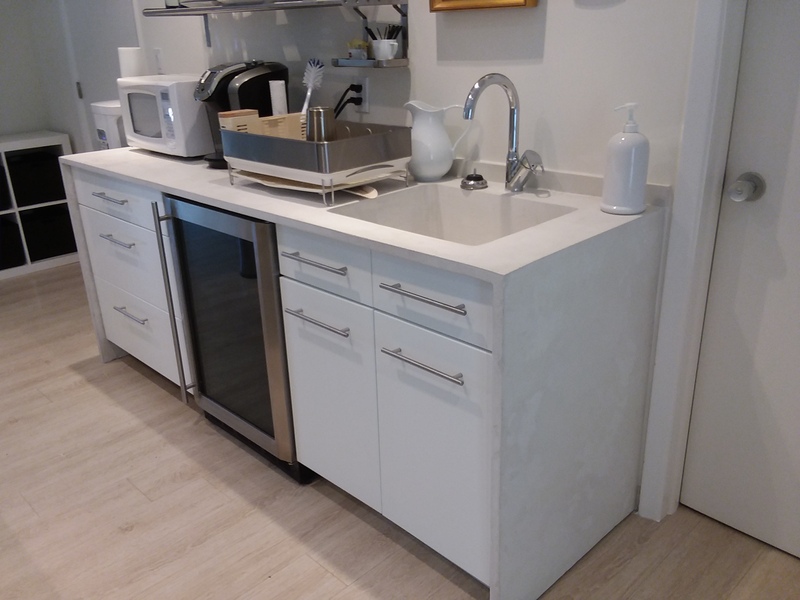 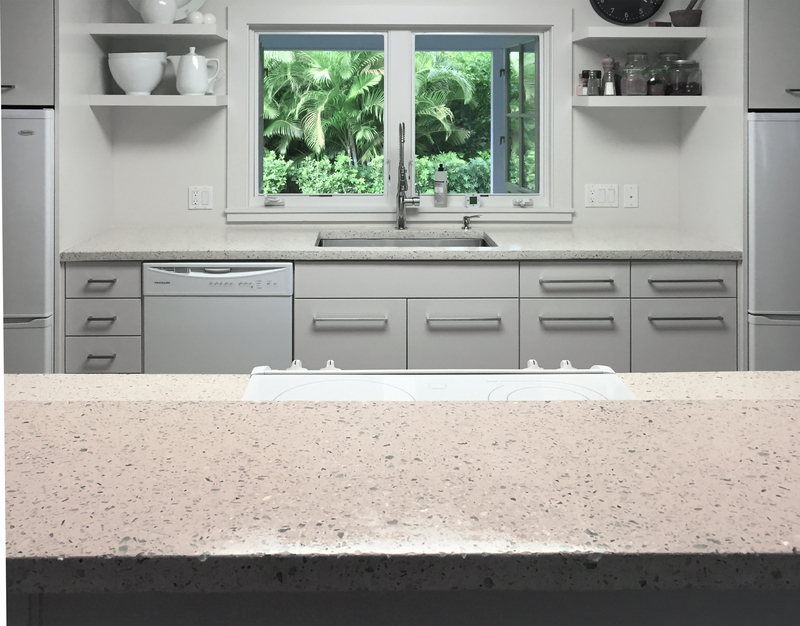 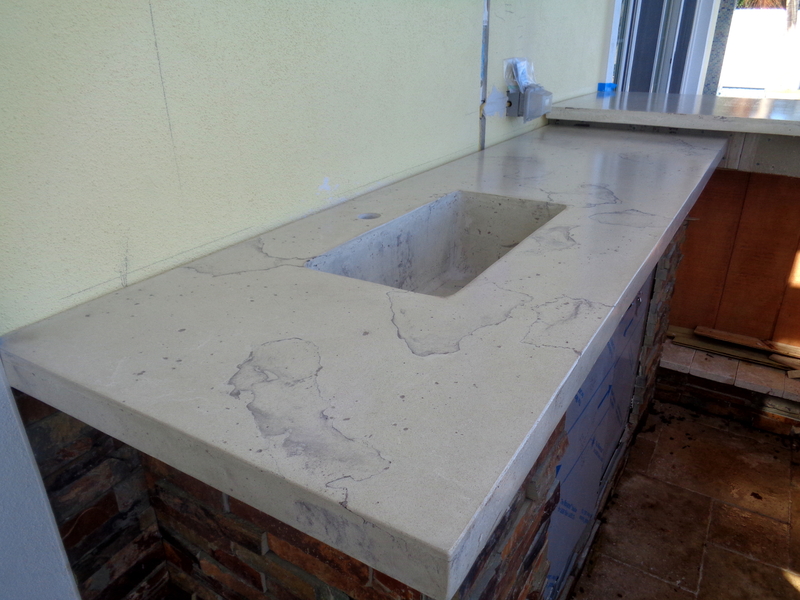 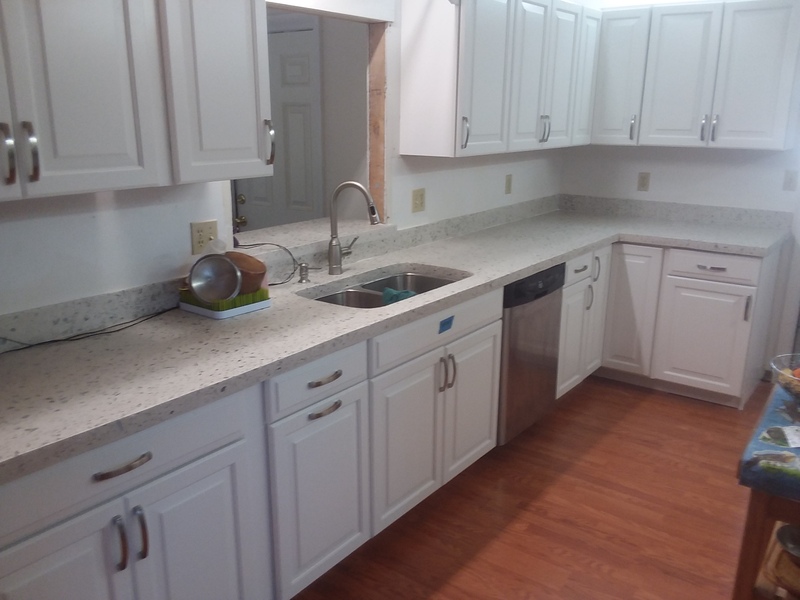 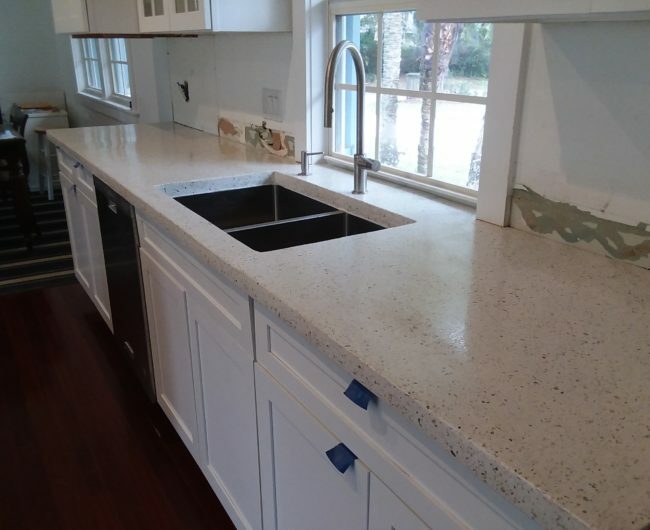 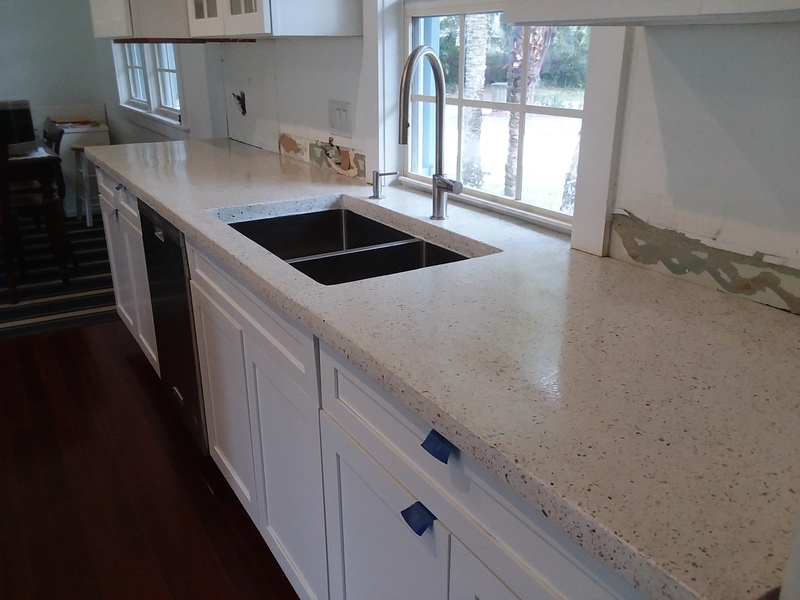 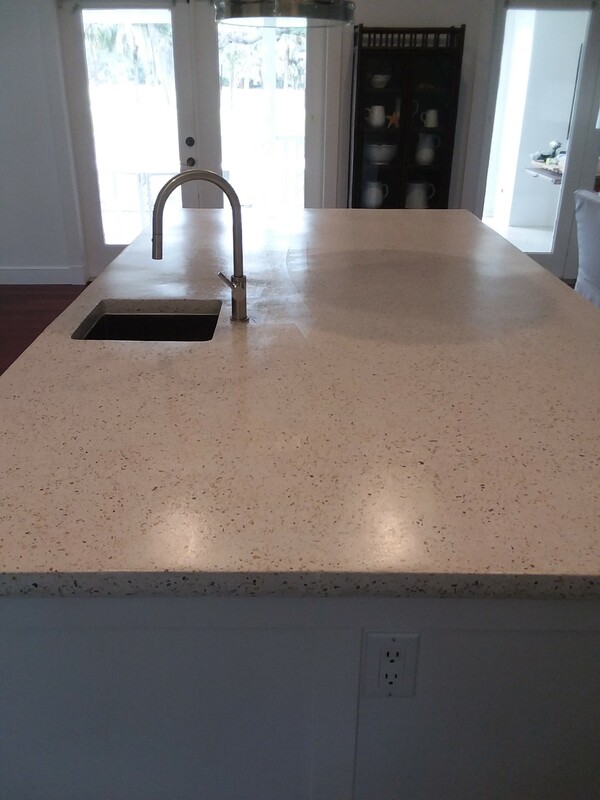 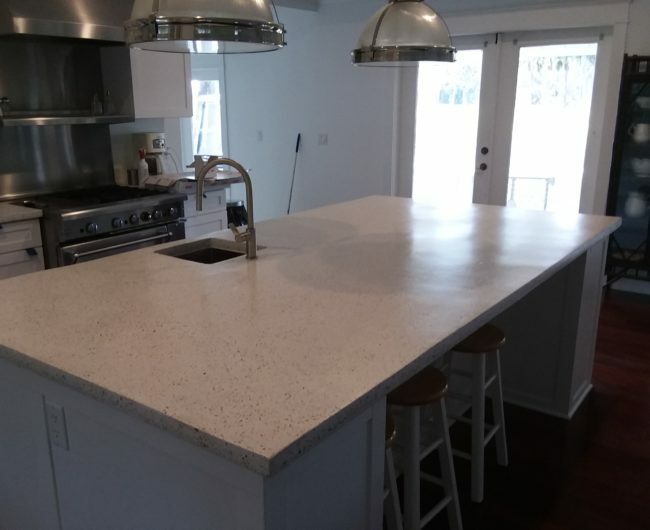 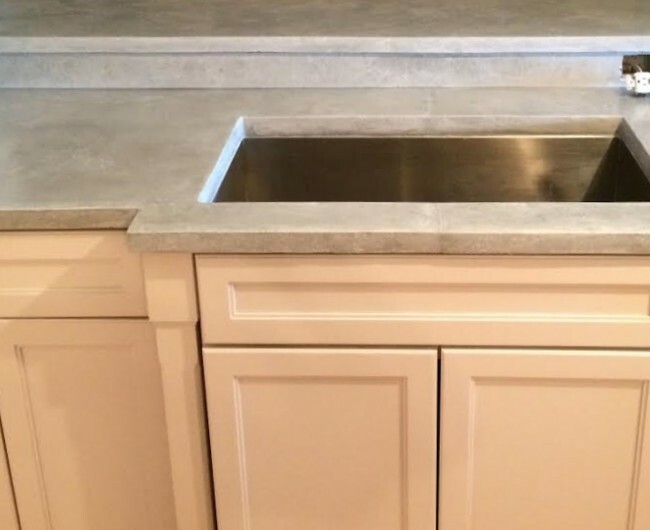 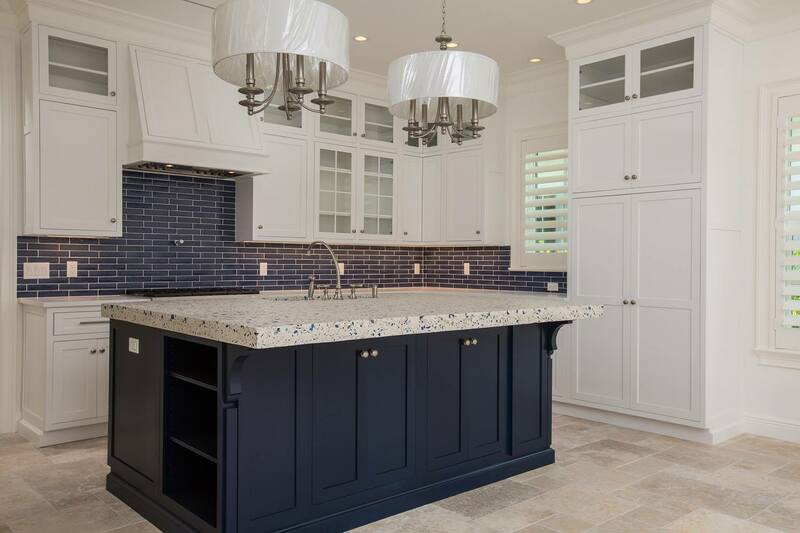 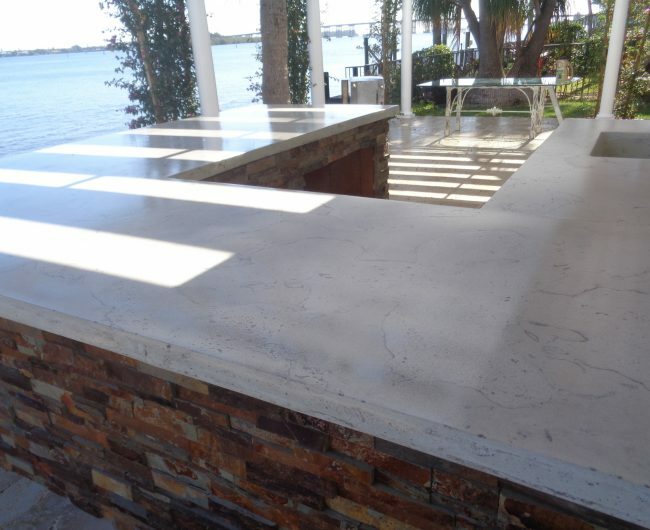 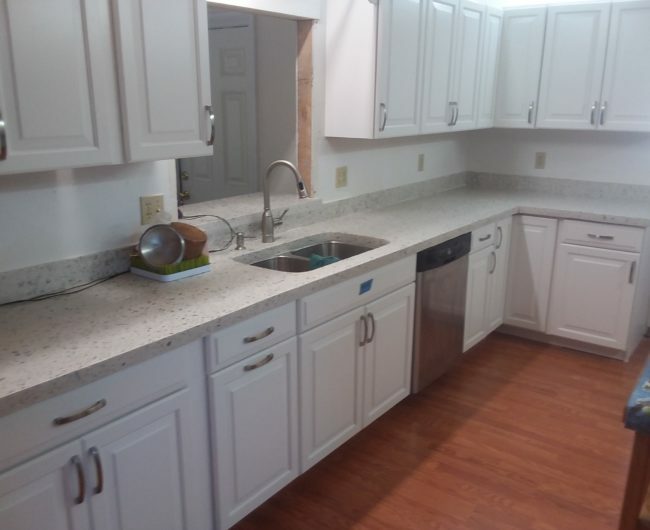 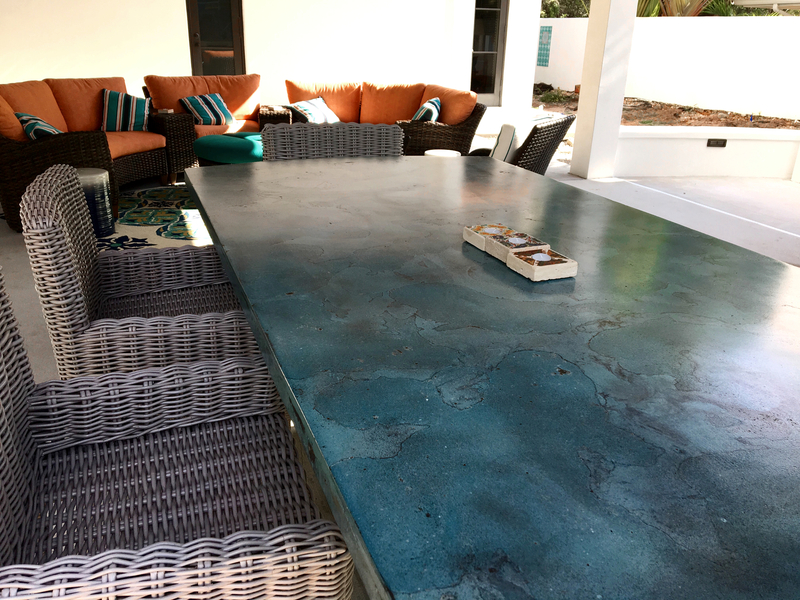 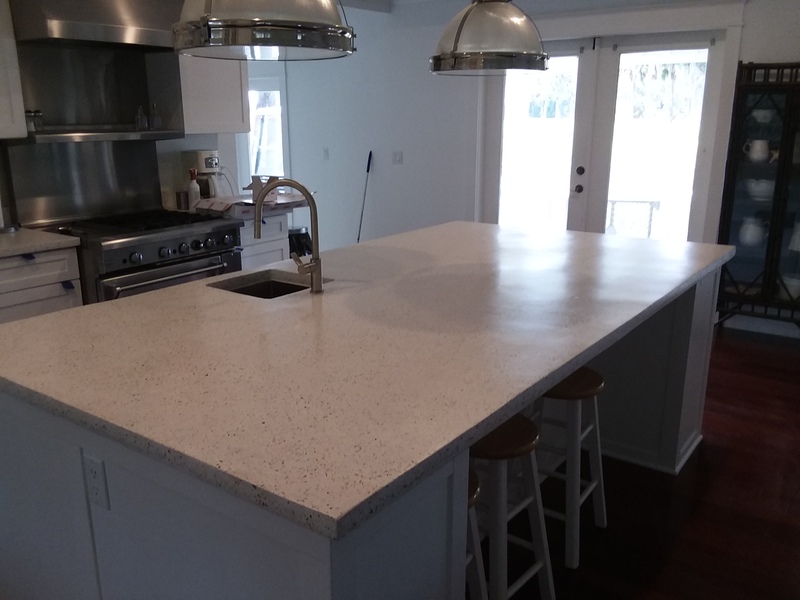 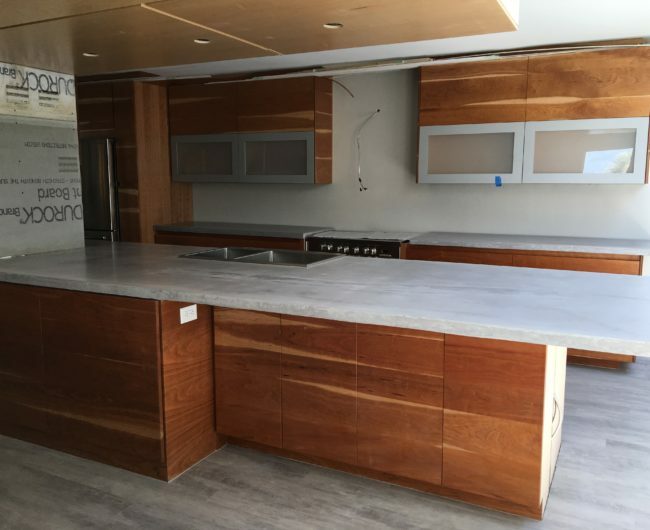 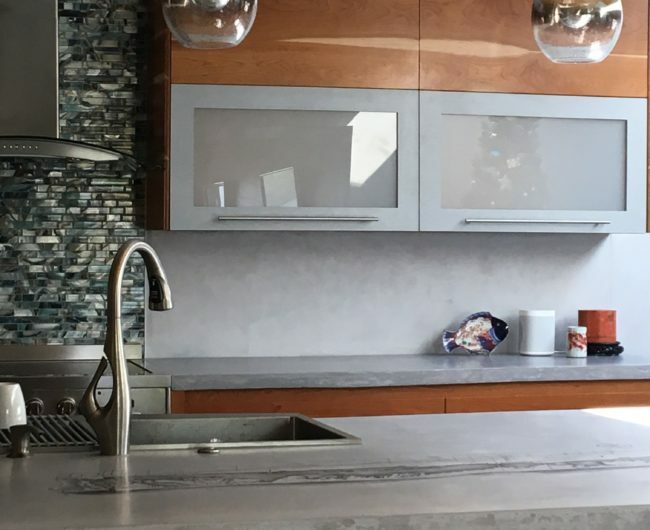 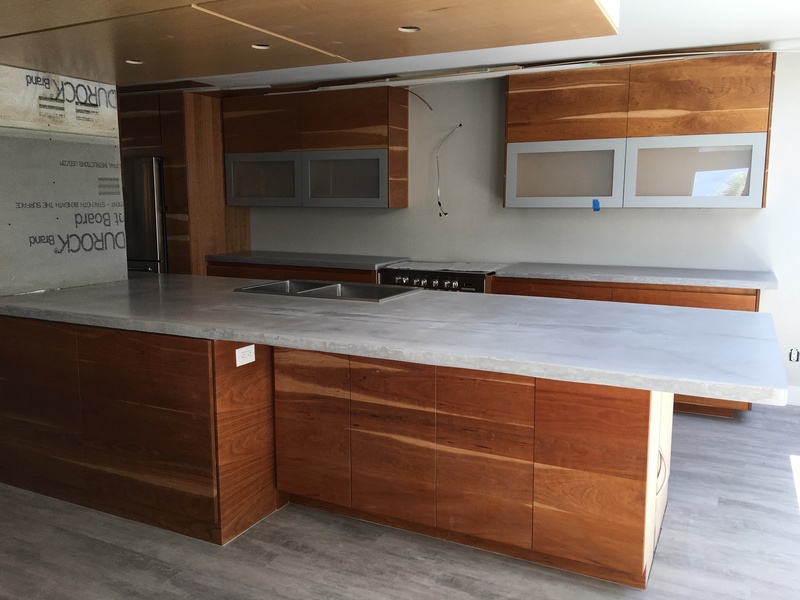 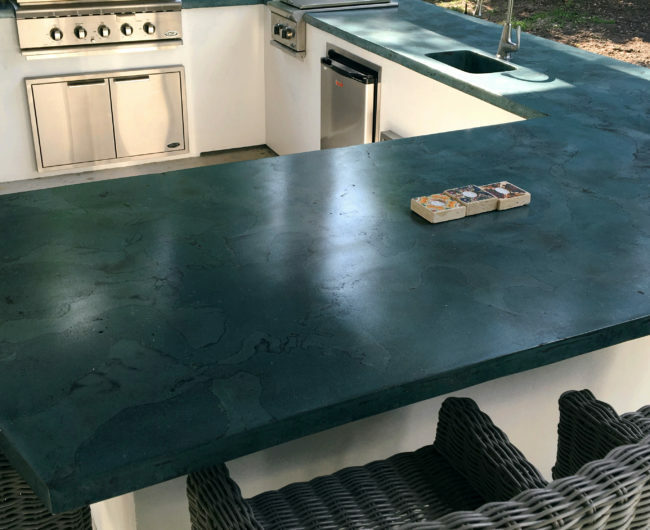 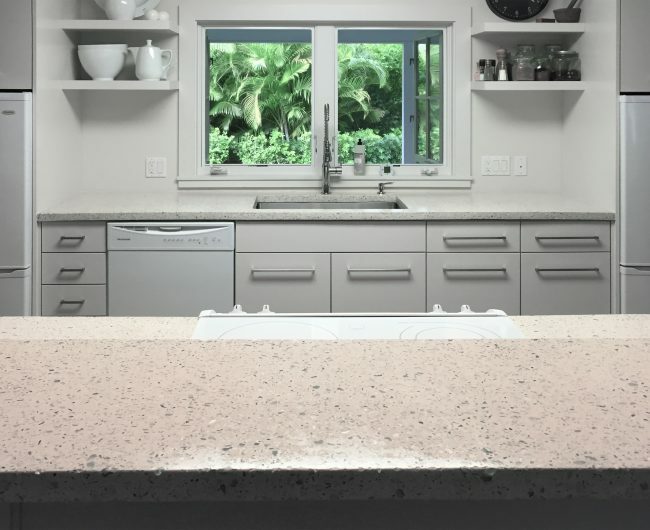 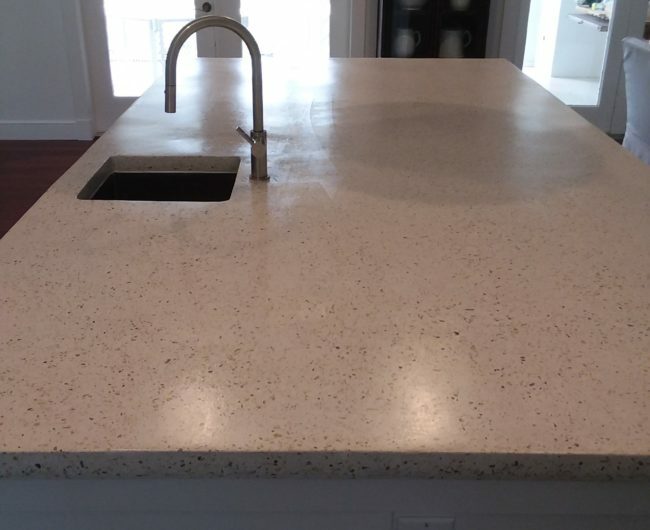 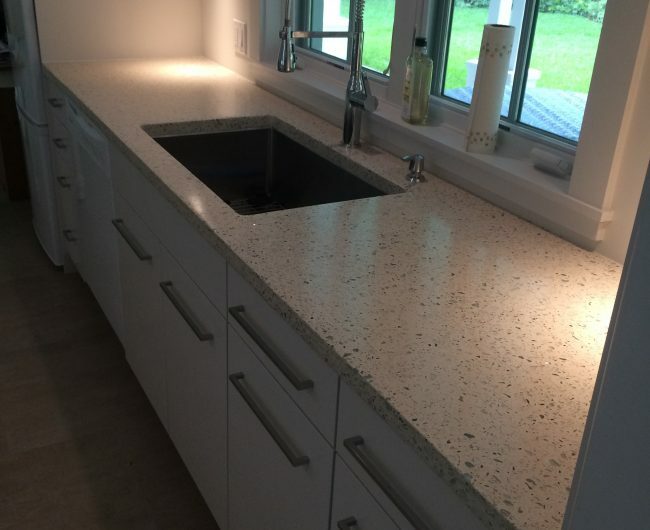 Coulter Designs specializes in counter tops that are industrial grade, solid concrete slabs that can be easily installed. 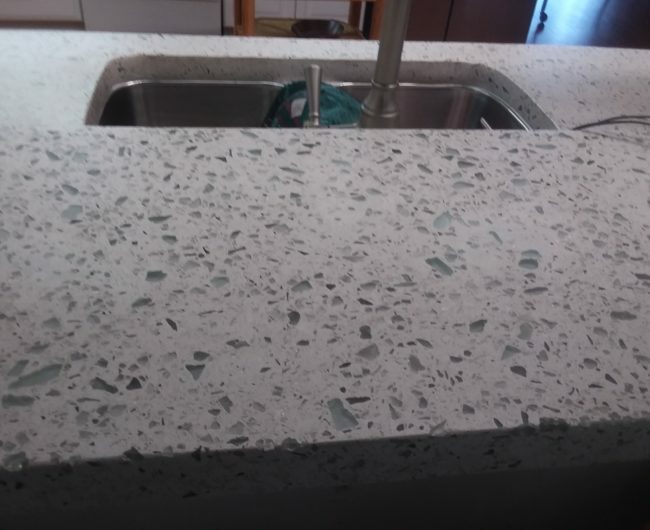 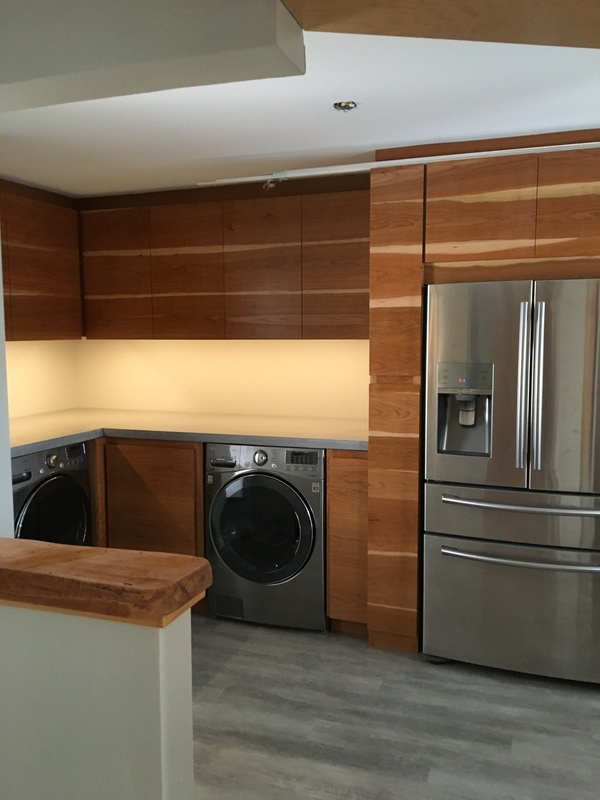 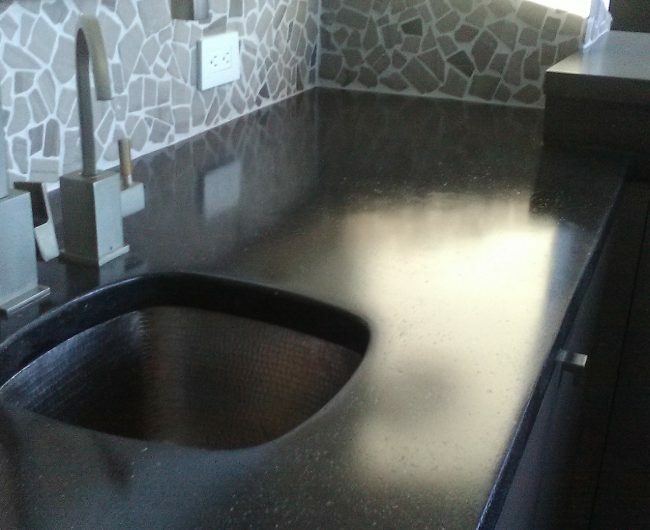 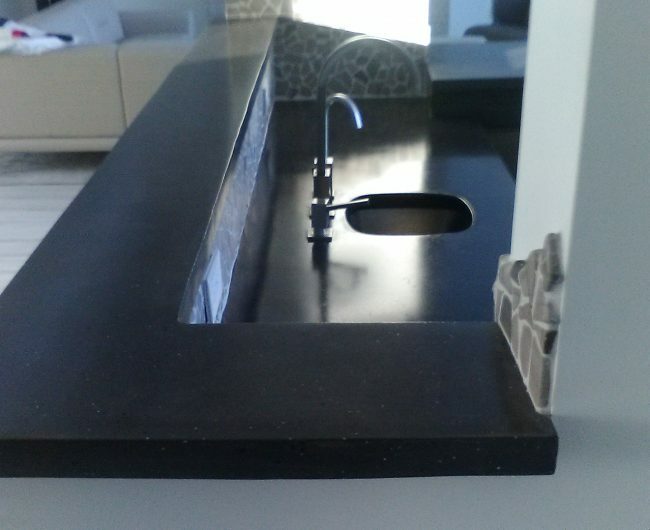 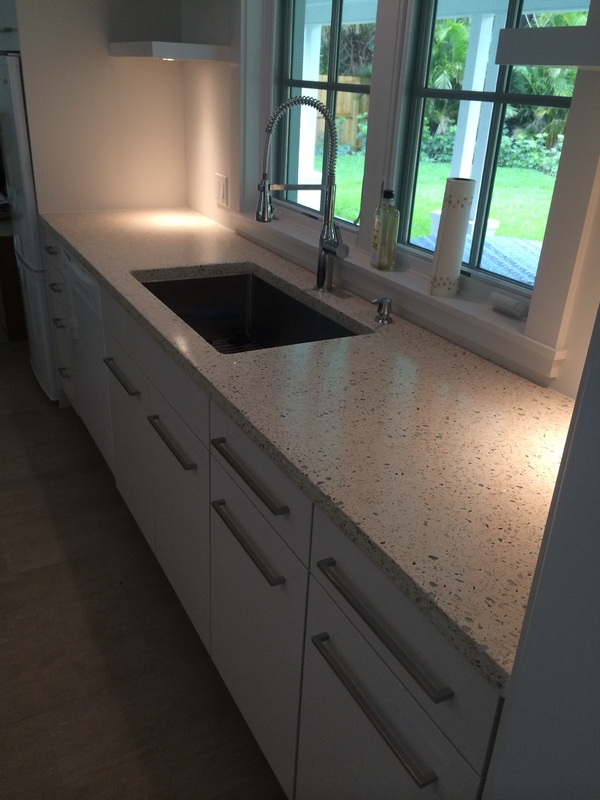 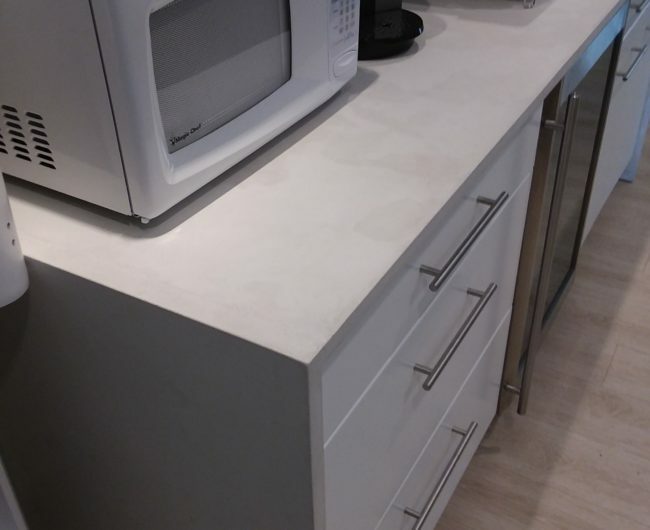 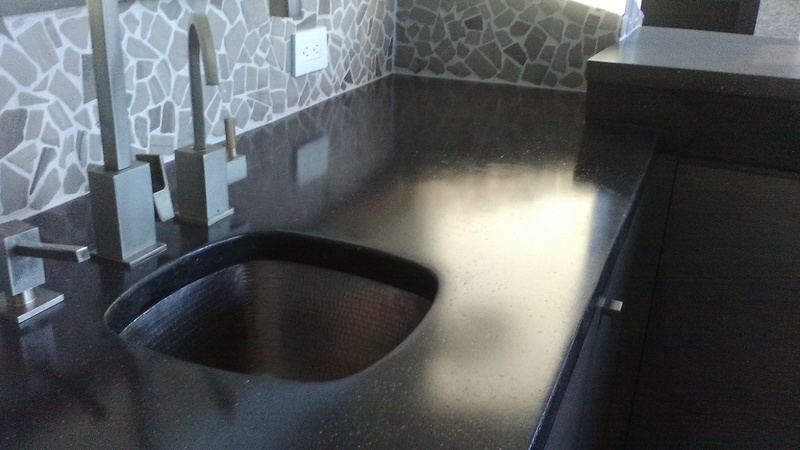 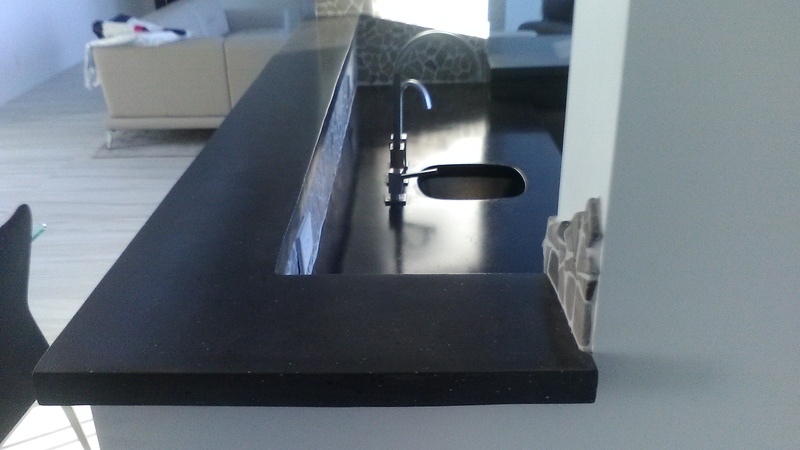 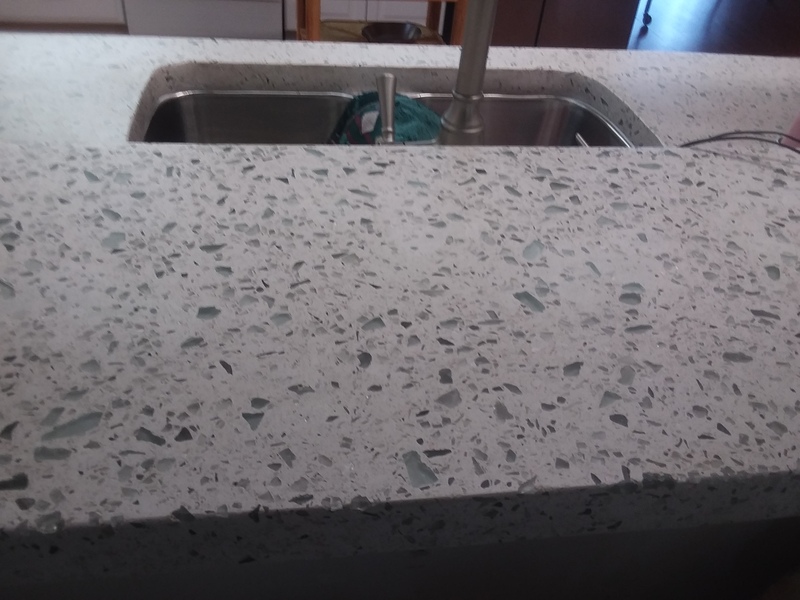 What makes our counter tops unique is that each top is completely custom designed. 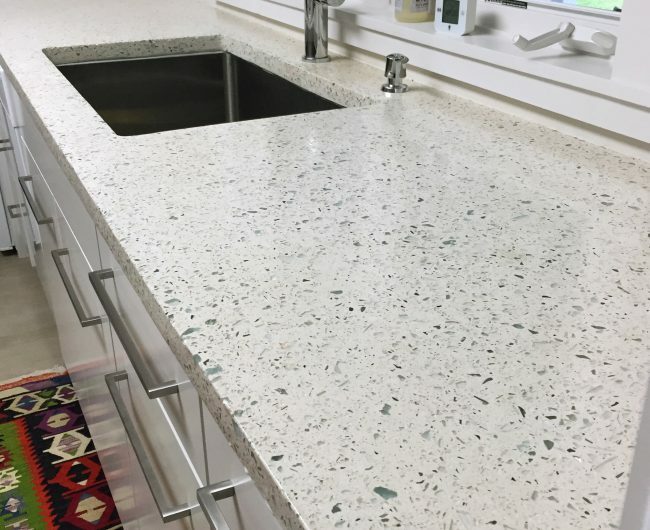 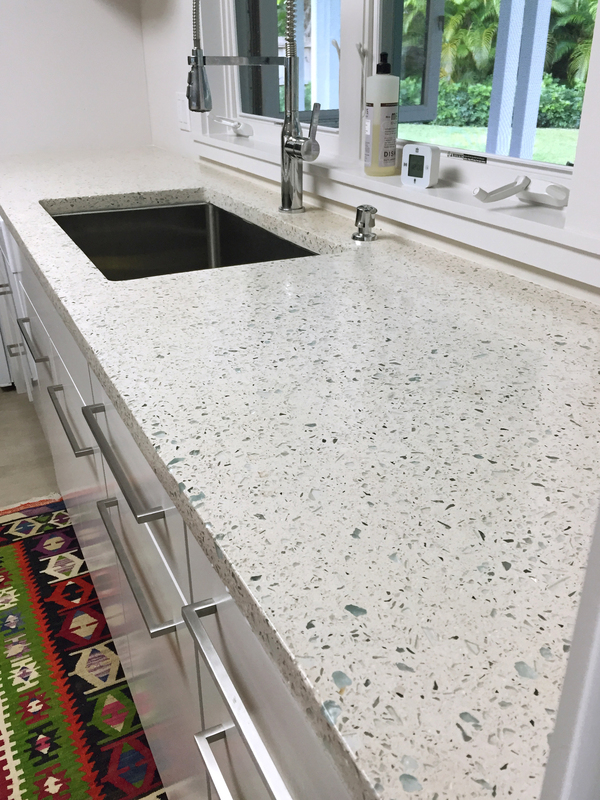 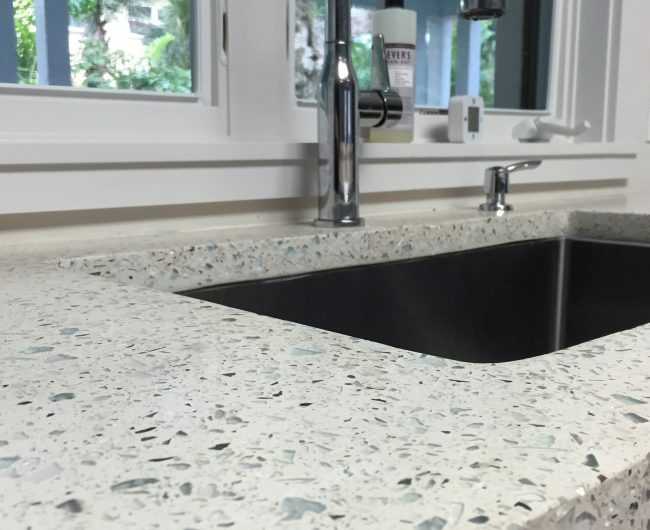 We can imbed organic material directly into the concrete substrate such as: seashells, beads, coins, or even our traditional glass terrazzo. 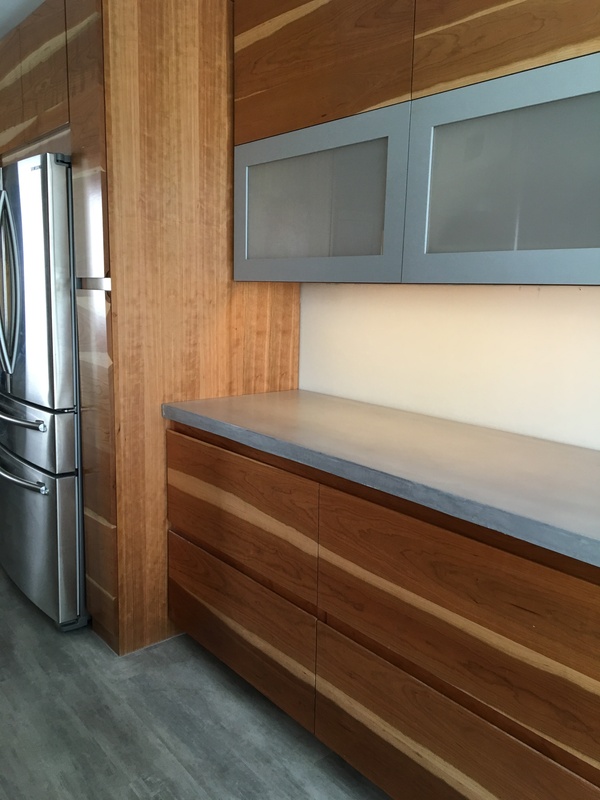 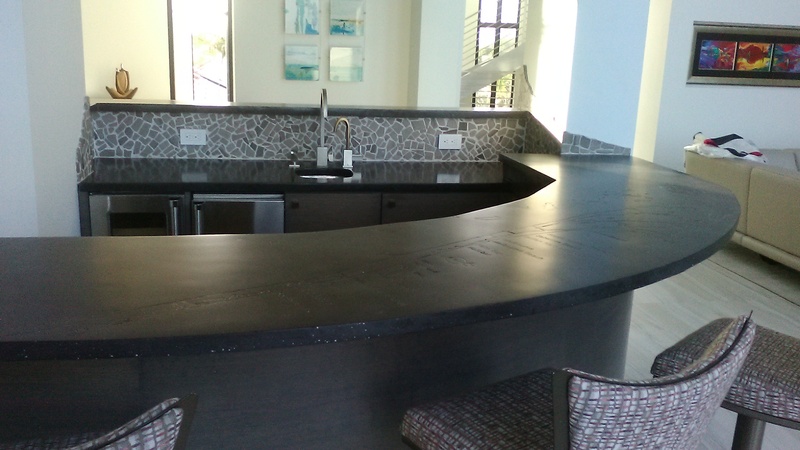 We can also integrate a personal theme into your bar or kitchen island with graphic designs and unique back splashes. 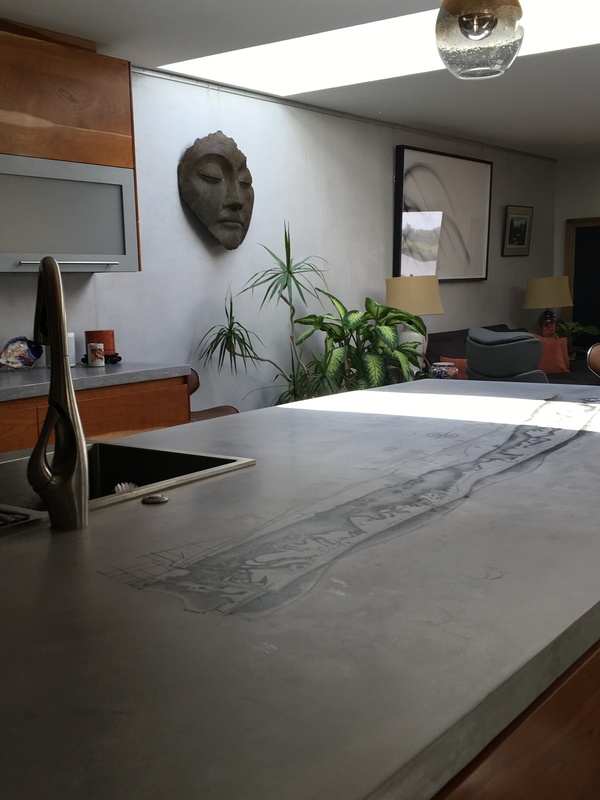 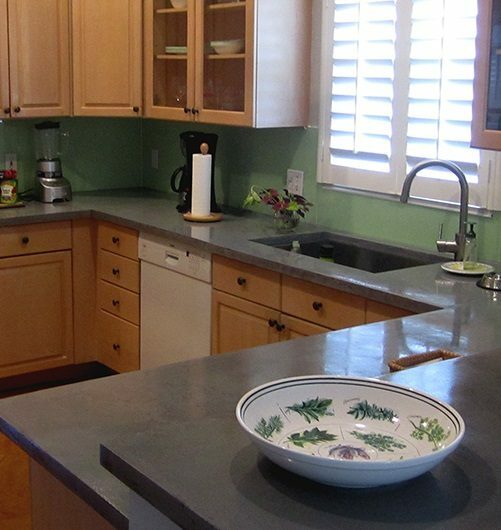 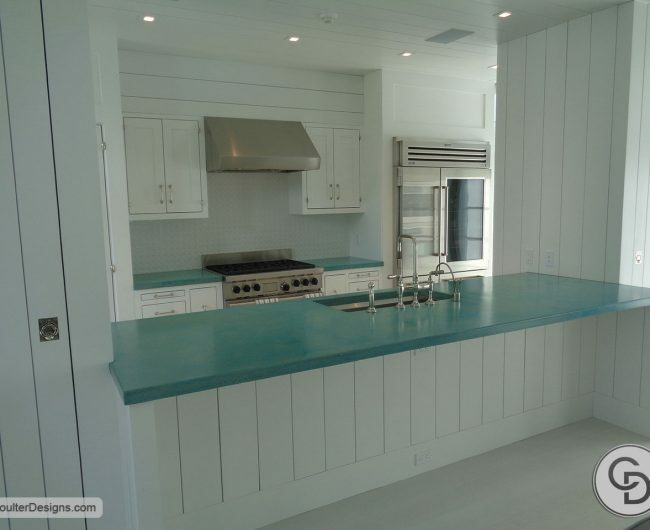 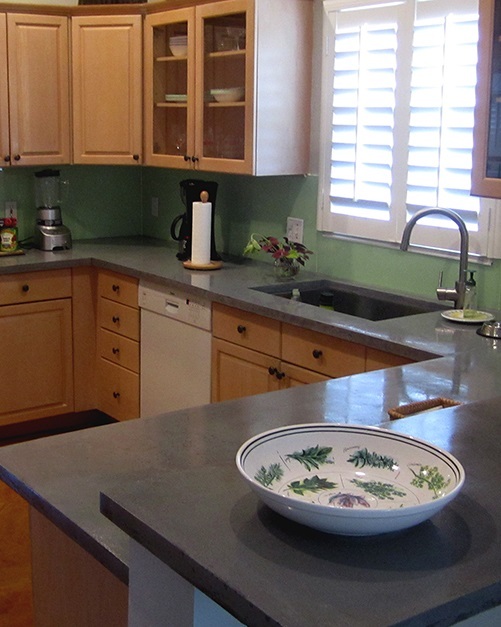 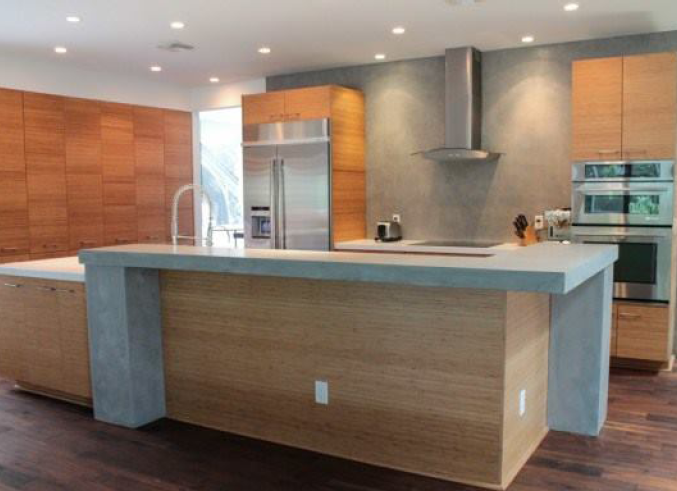 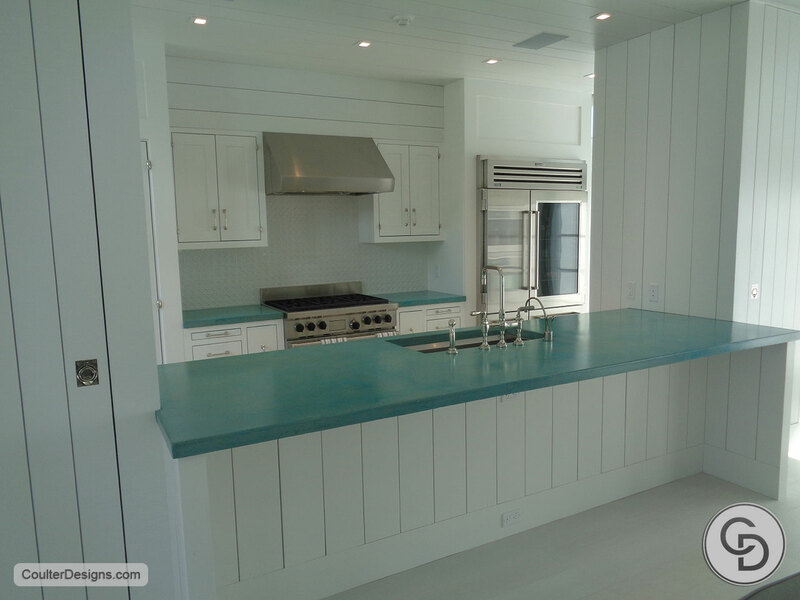 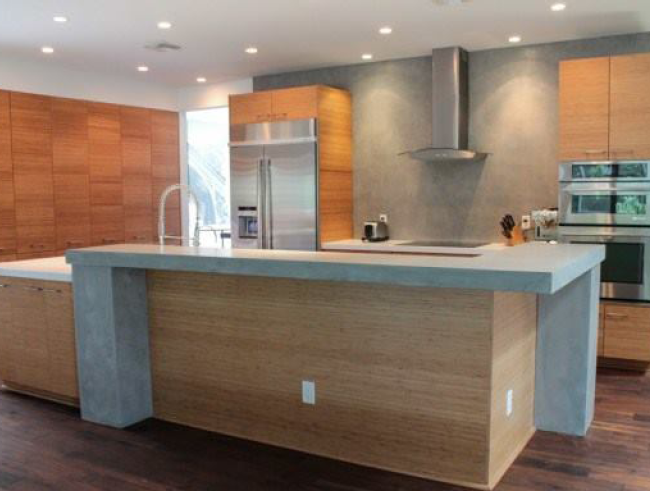 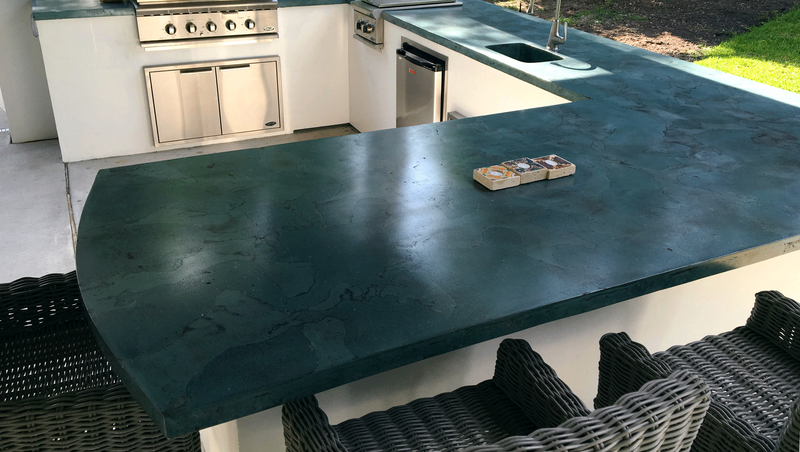 The concrete counters crafted at Coulter Designs can be made in any color or thickness, and are low-maintenance. 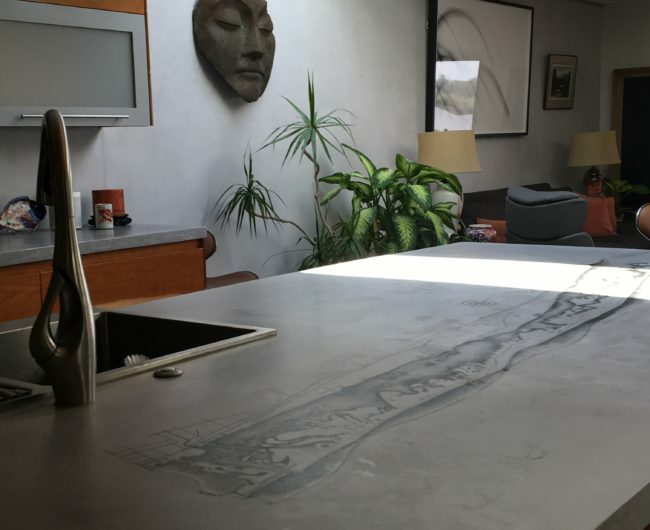 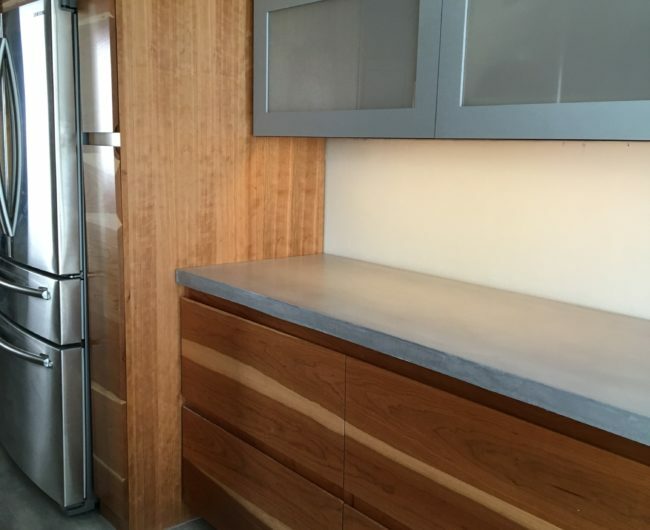 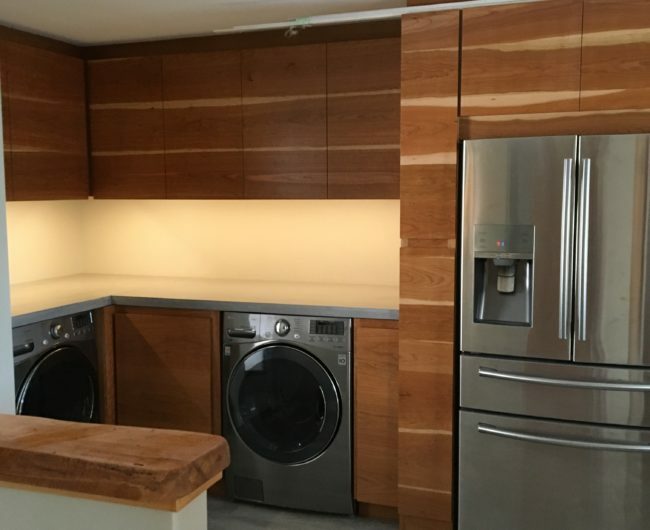 As such, a Coulter Designs kitchen is quite literally one of a kind! 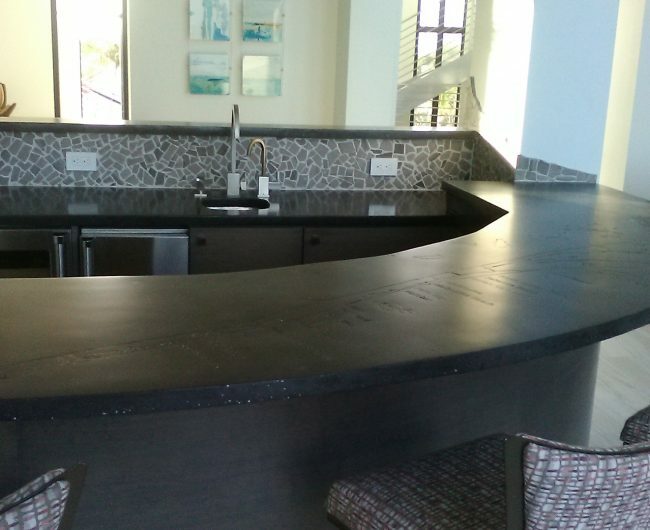 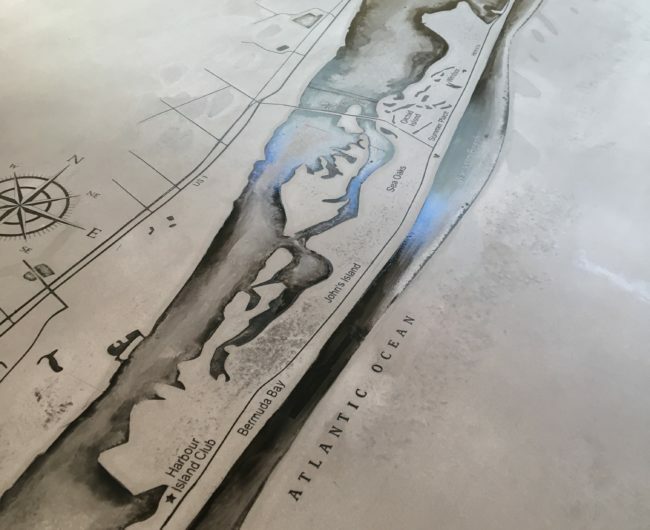 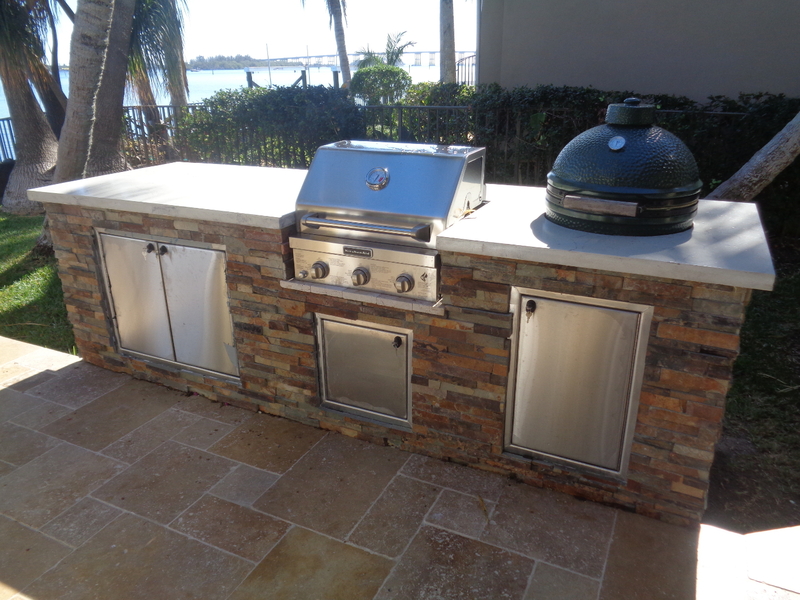 Coulter Designs’ design gallery located in Vero Beach has a number of samples and design options to choose from. 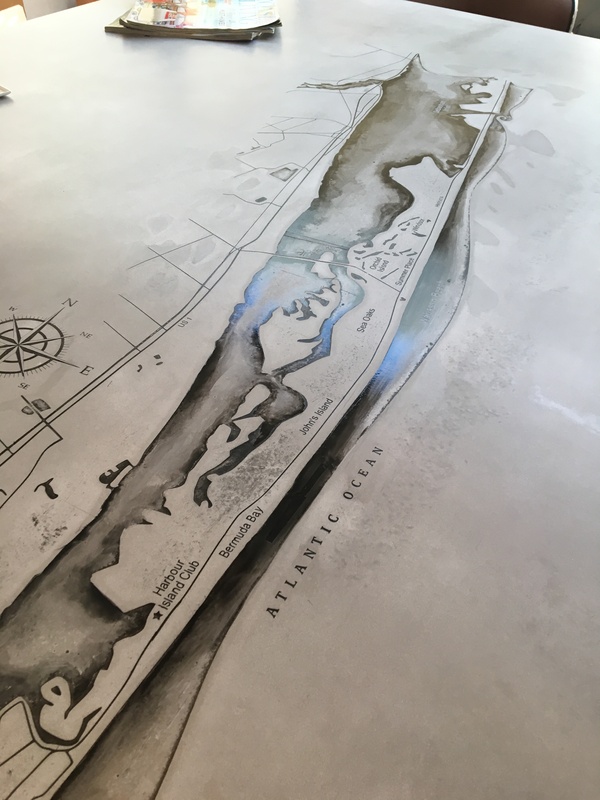 Please come visit us!